Solid copper, handcrafted goodness that will be around longer than your grand kids! The Starlingear lighters are like a piece from a bygone era when a lighter was not a cheap piece of crap you bought for 79 cents at a checkout counter. When a gentleman would have a nice lighter that he would carry for a lifetime. Straight from the magic workbench of the main man himself! 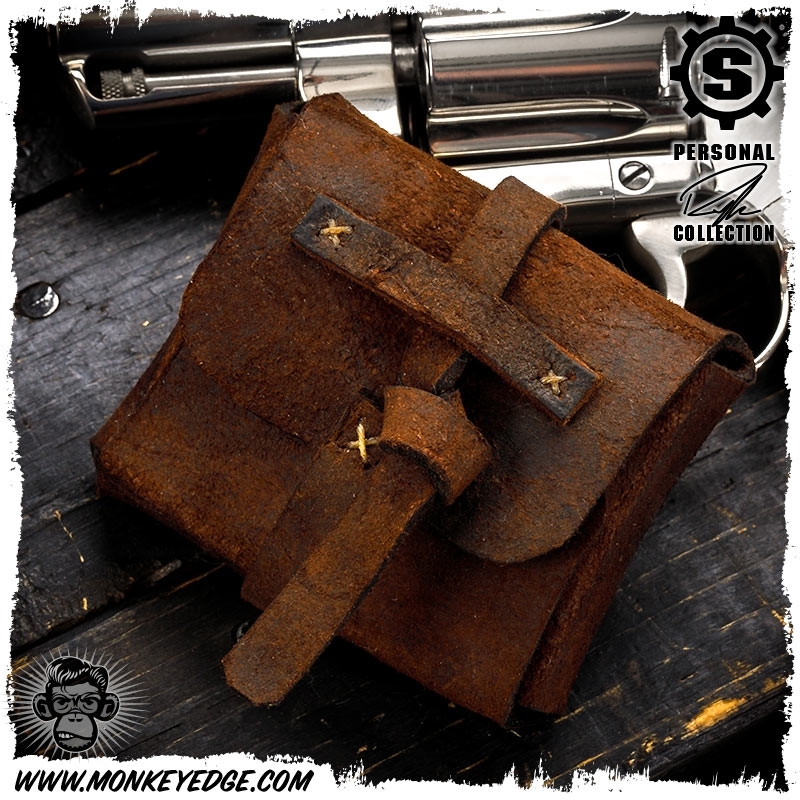 Ryk Maverick crafted a heirloom quality piece! 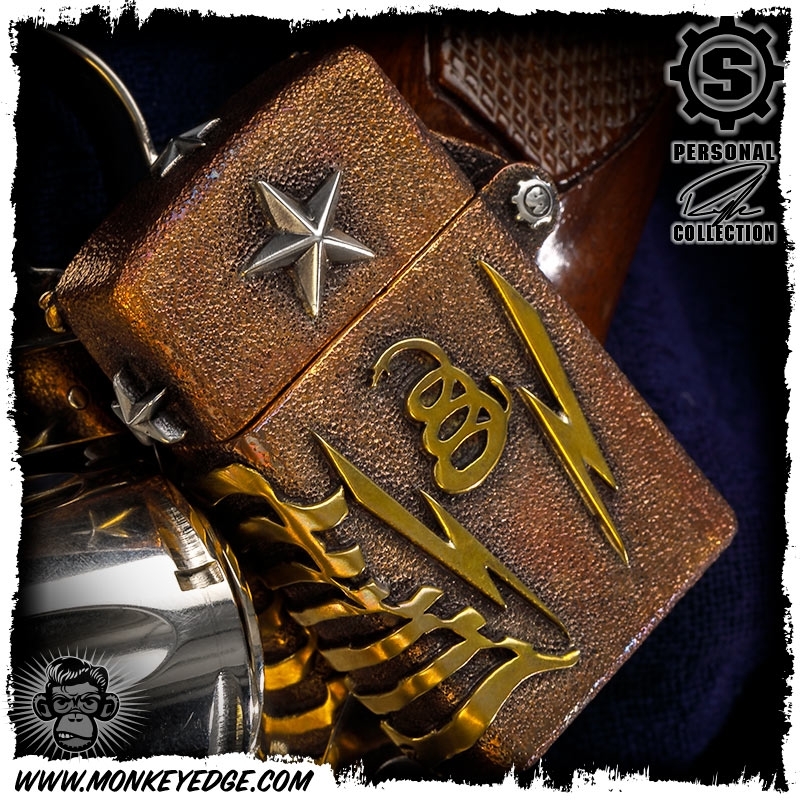 This is one of the most deluxe lighters we have seen yet from Ryk. 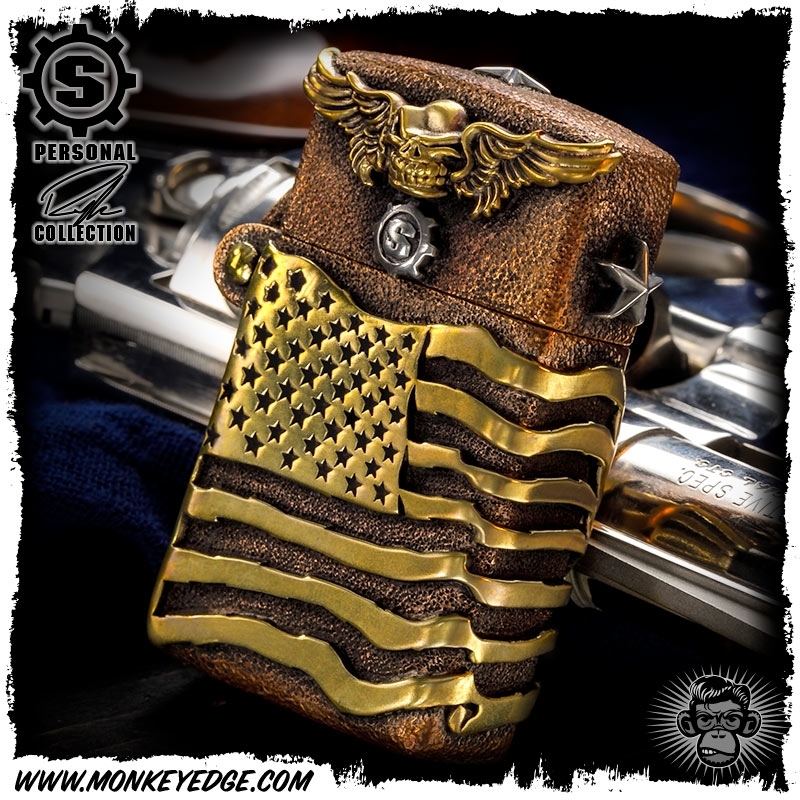 The copper hand textured body has a front with a large US flag brass badge that wraps around the edge. 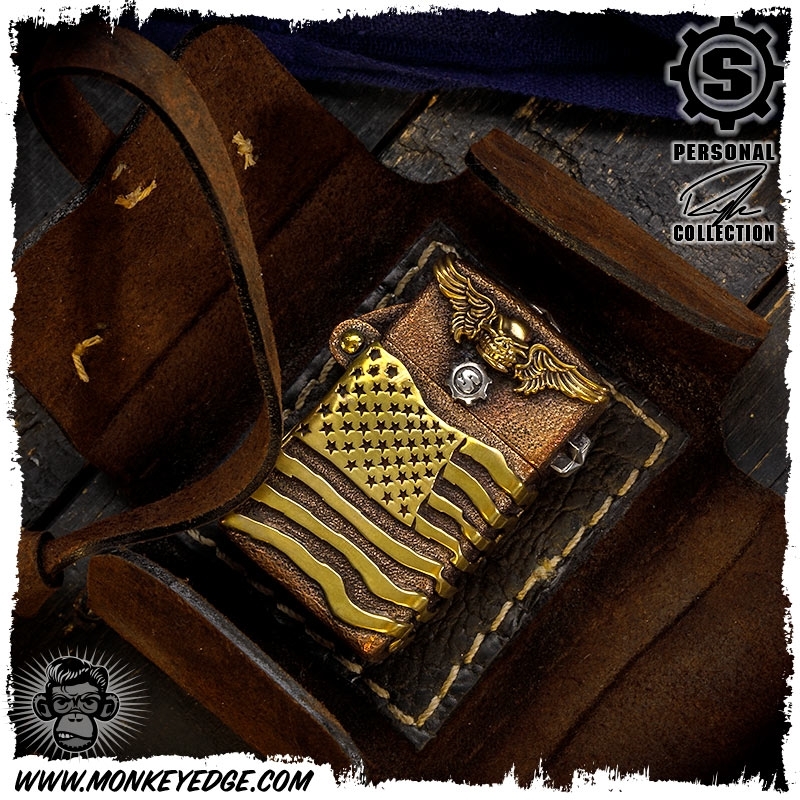 The lid features a brass Winged Gunner that wraps around to each side, as well as a sterling silver S-Gear badge and three silver star badges on the side, back and top. You'd think that were enough to make this incredible, but Ryk took it even further. The back has the tail ends of the flag, dual lightening bolts and a Gadsden flag badges. 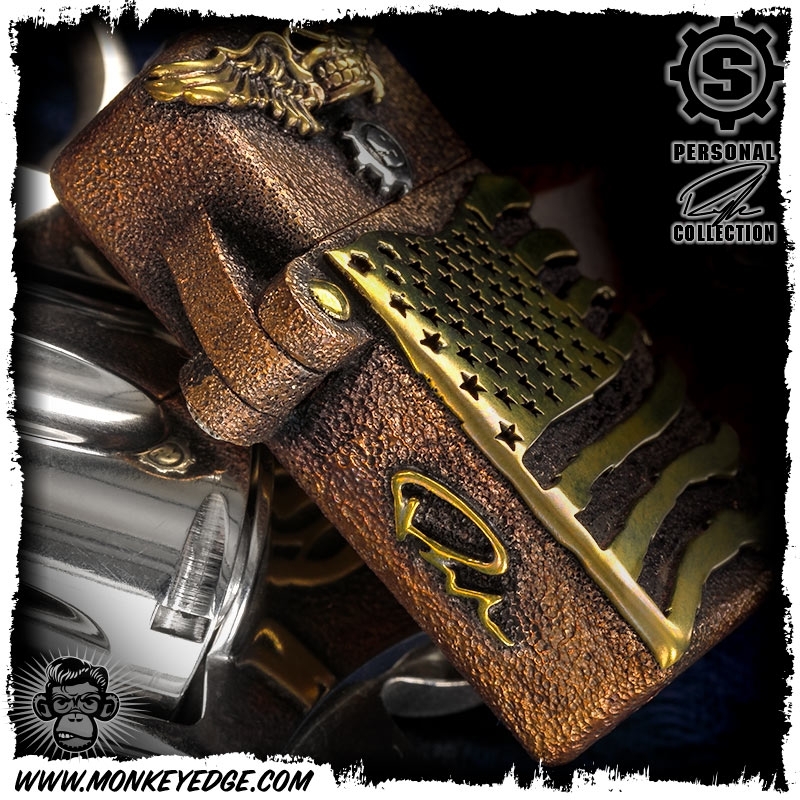 The side features a brass Ryk signature badge. The brass hinge even has a silver S-Gear badge on it. At 5.2 ounces, this piece just feels so tangible, so substantial in your hand. You don't even have to be a smoker to appreciate a piece of functional, handcrafted, art! A piece this magical needs a good home, so there is a Feelybuilt hand crafted leather pouch to keep it safe while traveling. Accepts Zippo slim sized inserts (includes a Zippo butane/wick type). What is Ryk Maverick Personal Collection? Ryk is intimately involved in all aspects of Starlingear. Not a single production piece leaves the shop without him inspecting and hand stamping the wax where it is then up to the small, skilled craftsmen in the Starlingear shop to finish the piece out. However, from time to time, as schedule and inspiration allows, Ryk will fabricate totally custom pieces from start to finish. These items are truly one off by the artist and often feature special designs, materials etc.